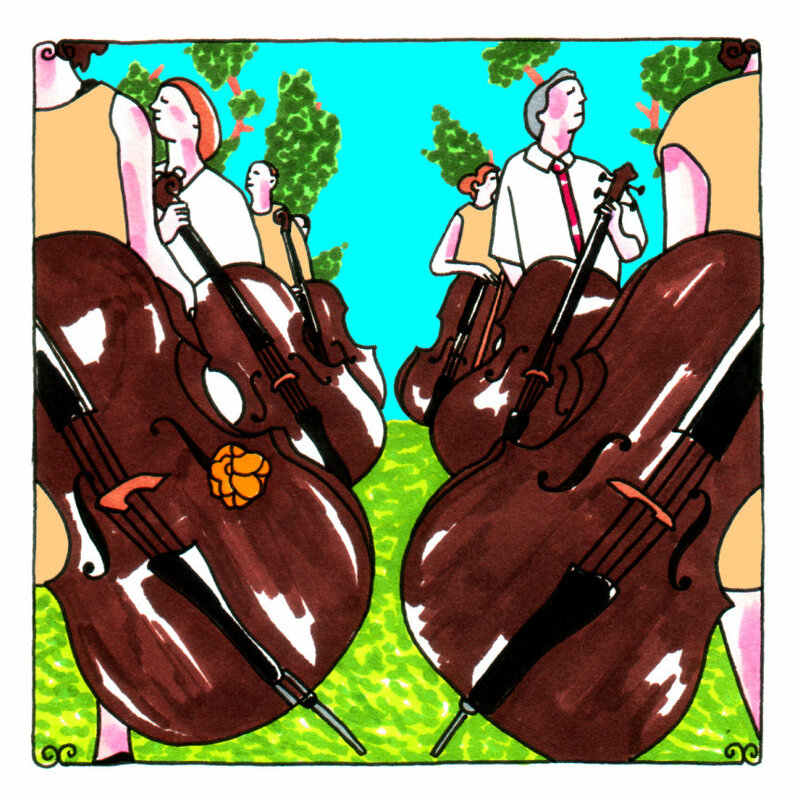 Lord knows it's not the intention, but the Portland Cello Project makes me feel angsty and all tense, knotted up, every time I listen to them. They make me feel as if I'm the target of a sniper or being hunted and it has very little to do with their stirring rendition of the "Halo 3" theme song. It might have a little to do with it, but then all you have to do is listen to the rest of the songs on this debut session and you'll see what I mean. They're toying with our emotions - these cellos, these blasted cellos are - and they know just the right buttons to push to start making you and I paranoid and skeptical of every shadow we see splayed out on the ground, stretching in front of us, as well as whatever could be lurching around those corners up ahead. There are parts to "Turkish Wine," that sound like the climactic scenes in a murder mystery when some hacking through bone's being done, when the end isn't just near, but can tell us what flavor bubble gum we're chewing or what shampoo we cleansed in earlier that morning. It's a gristly thought, but these cellos have minds of their own and they seem to be speaking of the most devilish of things, implying that they aren't as sweet as we originally considered them to be. They are cold-blooded sometimes and then other times, when they're cornered, they delight the authorities with their doe eyes and they bat those lashes just so, as if trying to get out of a speeding ticket by feigning oblivion and showing off a plunging neckline. They know the tricks and that's why this collective and their feisty cellos - those instruments of independent thought and mood - are to be feared, or at least watched very closely. They will pounce and they will seek blood. They will provide the soundtrack to the blood seeking and the pouncing, even if their real roles - like the bugle boys and the photographers of the Civil War, who were there as ceremony and chroniclers respectively - are something different. But then, who are we kidding? These are the sweetest of cellos that we're ever liable to meet. They mean well and they're regale us with beautiful trains, these strains of lush procession that just melt us into baskets of goo. We're there for them and we will follow them to the stalking or the sunset, whichever and whatever they ask of us. Yes cellos. Yes, cellos.